I believe I bought Into the Blue Again because Amazon had it onsale for $5. It was one of the better new things I’ve ever bought because of such a deal. 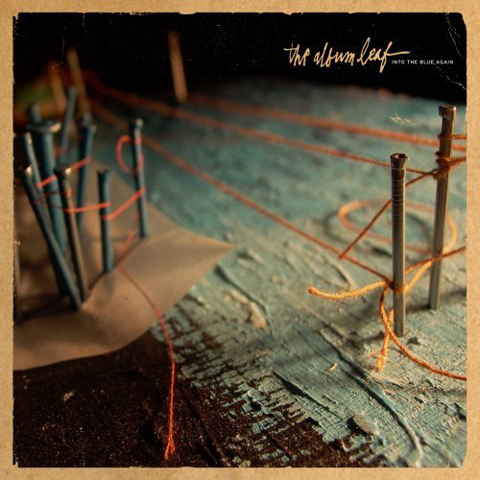 The Album Leaf are kind of like an American Sigur Ros, though not quite as atmospheric. Many of their songs are songscapes more than ballads or anthems. Pictures form in your mind when you’re listening to them and it feels like you’re going on a voyage. Another great crafty album cover too – I love it!